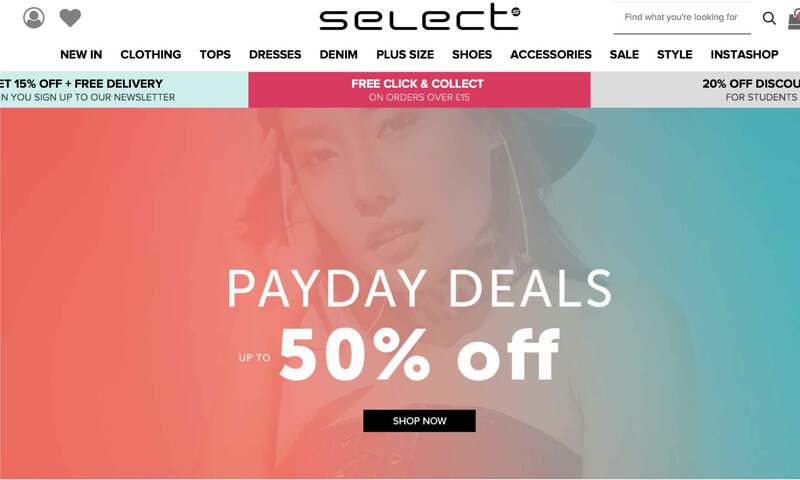 Select Fashion is an high-street womenswear online retailer. They offer over 4,000 products inspired by the latest fashion trends, including casual wear, beachwear, shoes and accessories. All of the products on Select Fashion are trendy and affordable, enabling you to update your current wardrobe without breaking the bank. As an NHS employee, it's important to take pride in your appearance. Select Fashion has you covered for those rare days where you can relax and enjoy yourself. Furthermore, their affordable products mean that you can be fully prepared for those spontaneous nights-out with the girls, saving you the stress of splurging last minute on expensive outfits. If you're struggling to find something to wear, Select Fashion's #myselectstyle has you covered, providing outfit inspiration and avoiding the stress that comes with deciding what to wear. Select Fashion's wide range of stylish and affordable clothes have you covered.